Second - thank you La Crosse Tribune for putting an article about the Progresstival (Saturday, February 4 from 6 to 10 p.m. at the Concordia Ballroom in La Crosse) in Saturday's paper! 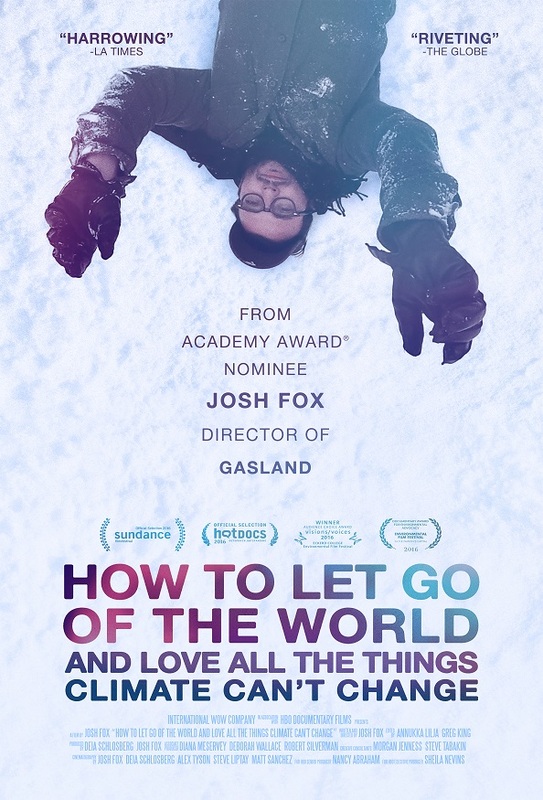 Tuesday, January 31 - The Coulee Region Sierra Club will host a free screening of Josh Fox's (Gasland) latest film, How to Let Go of the World (and love all the things climate can't change). The event will be in a private home at 6:30 p.m. so RSVPs are encouraged (or email CRSierraClub@gmail.com). will host a Sustainability Showcase featuring 2016 MPower Business Champions. That event will be at the Lunda Center of Western TC from 7:30 to 10:00 am. 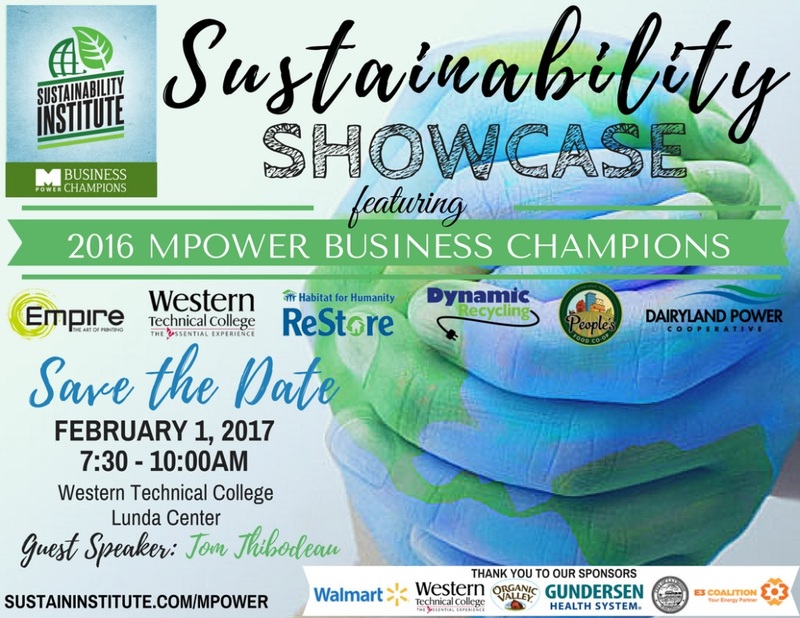 and will feature Tom Thibodeau of Viterbo University discussing servant leadership and sustainability. A light breakfast will be served. REGISTRATION IS REQUIRED! 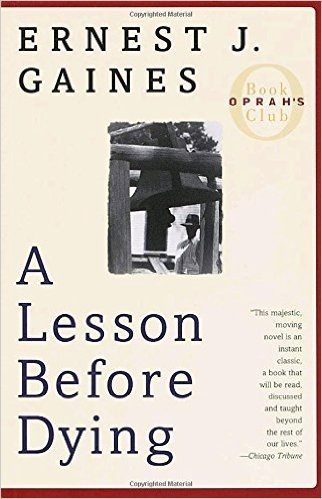 Thursday, February 2 - The La Crosse Public Library (8th and Main) will host a FREE screening of the film Dead Man Walking as part of the La Crosse Reads - Big Read Event Kickoff week.This year's BIG READ is A Lesson Before Dying. Ream more about the program, the book, and the events at their website. Saturday, February 4 - Before the Progresstival! 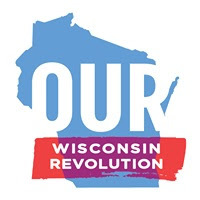 get motivated to take action at the OUR WISCONSIN REVOLUTION organizing meeting in La Crosse at 3 p.m. at the Southside Neighborhood Center, 1300 Sixth Street South. "It’s up to us to take Wisconsin back from the Koch brothers and right-wing special interest groups, which have already spent billions here. Wisconsin is one of the biggest battlegrounds for 2018. Let’s show them that we’re organized and ready to fight back." Please RSVP! 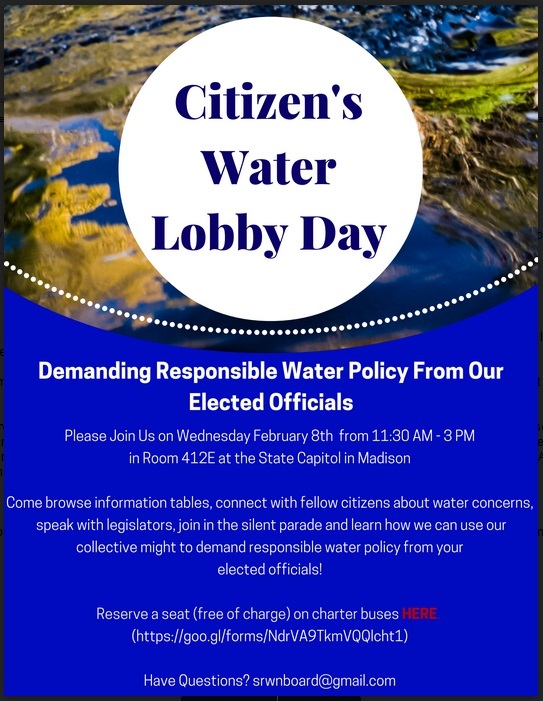 If you are going to the February 8 Citizen Water Lobby Day in Madison and want to catch the La Crosse bus to this important event, PLEASE SIGN UP ASAP!!! What's missing? Do you know of an event we should highlight and add to the calendar? Please email us!